Explore the tranquil forests of Ubud on a full-day private tour from your hotel anywhere in southern Bali or Ubud. 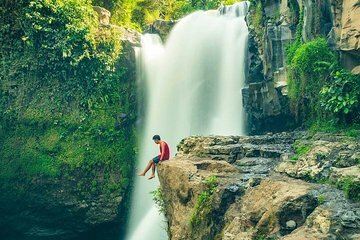 Visit the majestic Tegenungan Waterfall, explore handicrafts at local villages, explore the Elephant Caves and Monkey Forest, and stroll through the beautiful rice terraces in Tegalalang Village. This is a chance to immerse yourself in the natural beauty and local culture of the island.